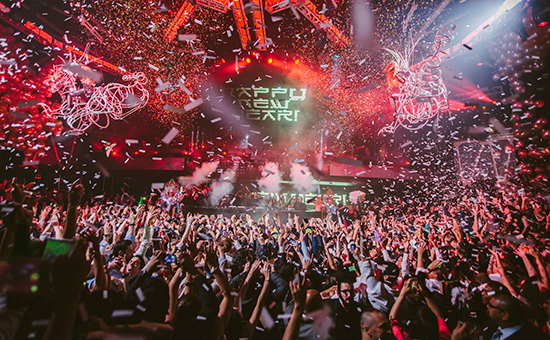 Excitement was in the air at Hakkasan Nightclub over the past few days as the popular destination hosted a three-day New Year’s celebration to close out 2014 alongside unrivaled artists including Calvin Harris, Tiësto, Hardwell and more. Pulling out all the stops to bid farewell to an astounding year, the renowned nightspot opened its doors Tuesday, Dec. 30 for the special affair. Between the top-tier talent, stunning aerialists and champagne showers, the bash was in full force as partygoers danced their way into 2015. Kicking off the bash on Tuesday was none other than the World’s No. 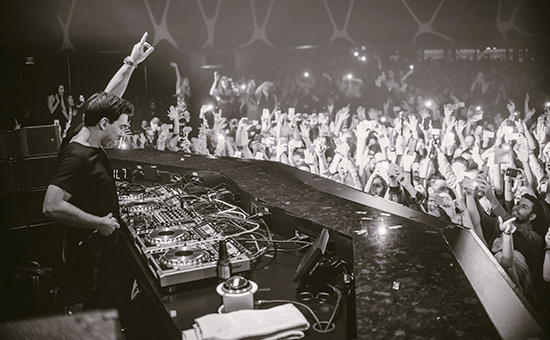 1 DJ Hardwell spinning fan-favorite hits as guests reveled in the music with good company. Opening for the popular DJ was newcomer Kill The Buzz while DJ Crooked spun his hits in the nightspot’s third-level Ling Ling Club. Flying confetti and awe-inspiring performances were in abundance all evening so party patrons could squeeze the most out of the fading year. Amping up the festivities Wednesday, Dec. 31 was GRAMMY Award-winning artist and Hakkasan resident Calvin Harris. Stopping to take some photos with fans, the in-demand headliner made his way to the DJ booth to ring in 2015 like a champ among sin city’s best party patrons. 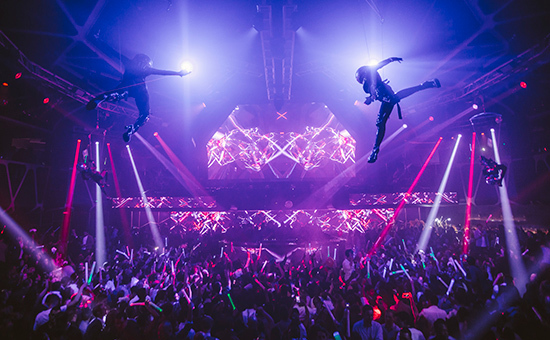 Transforming the entire venue at midnight, the over-the-top countdown was truly a sight to see as confetti cannons let loose, shimmering balloons rained from the ceiling and spectacular aerialists flew through the air on playful dragons brought in for the special occasion. Dancing the night away below the production, clubgoers took a second to soak up the surroundings before harmoniously toasting in the New Year. The third level of the nightspot was hopping all night as Hakkasan regular DJ Ruckus took over the beautifully crafted Ling Ling Club for an alternative way to spend the awaited countdown. Closing out the three-day soiree and performing his first set of the New Year was Hakkasan resident DJ and producer Tiësto, Thursday, Jan. 1. 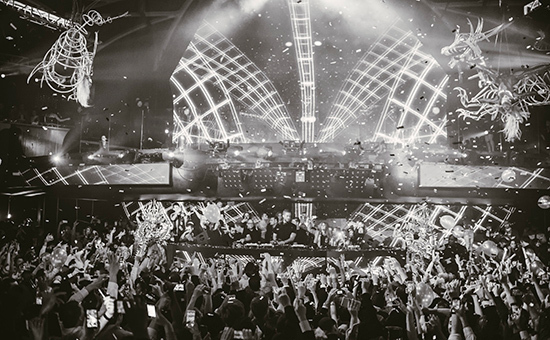 Bringing his famed “Club Life” set back to Hakkasan for a special New Year’s bash, partygoers from all over the world gathered to give an explosive start to 2015. Gearing up for his birthday later this month, the international DJ sensation kept the energy up with well-known hits such as “Red Lights” and “Wasted” while guests danced and rejoiced for the first night of the New Year. Rising electronic music star and producer MOTi opened the main room on Thursday with an unforgettable performance while DJ Crooked kept the Ling Ling Club in full party mode. With 2014 in the rearview mirror, Hakkasan Nightclub is ready for yet another year full of unbeatable artists night after night.